SPECTACULAR VIEWS DAY AND NIGHT! Meticulouly kept walkout home backs directly to Nose Hill Park. It's nestled in a secluded little nook that gives shelter from the breezes yet still offers fabulous all level unobstructed views of the mountains, city, and river valley. Former show home offers all the "bells and whistles". Soaring vaults, interior designer picked colors, and spacious formal and informal entertainting areas. A real "cooks" kitchen with Italian designer cupboards by "Scavolini", soapstone and granite counter and island tops, there's even a butler's gallery! The walkout is professionally finished, and "show stopping" professional landscaping completes the picture. it's an easy drive to downtown, the University of Calgary, and the Foothills and Children's Hospitals. 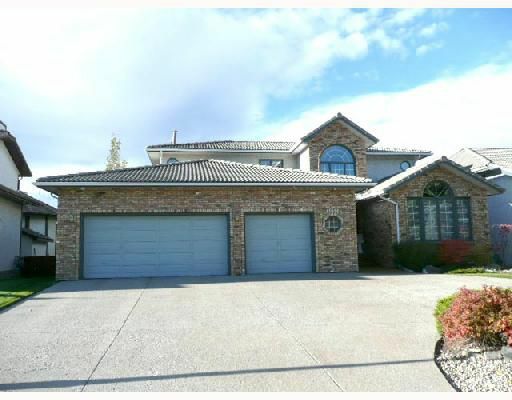 Drive by 3955 Edenstone Road NW or please "click" the included virtual tours and still pictures buttons, and be sure to call your favourite Realtor (tm) to arrange a private viewing.